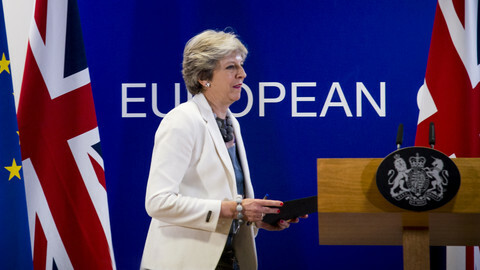 While on Wednesday (14 November) evening the mood in Brussels was cautiously optimistic after EU and UK negotiators had agreed a Brexit agreement which was then backed by the cabinet in London, it all turned sour on Thursday as British prime minister Theresa May faced calls for her resignation over the deal. 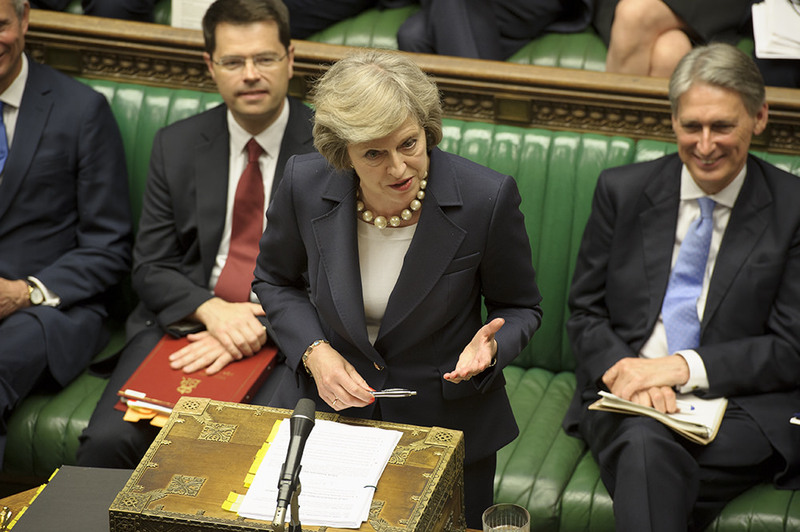 May is now fighting for her political survival, as several key ministers resigned, and members of her ruling minority Conservative party plotted to oust her over the draft Brexit withdrawal deal. 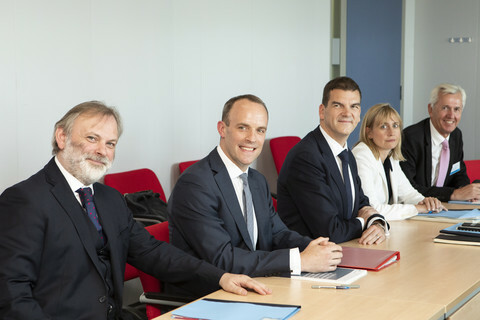 May attempted to defend her deal before a hostile and divided parliament, just minutes after several cabinet ministers, including Brexit Secretary Dominic Raab, quit the government. "The British people want us to get this done," she said. May argued that her proposal on the withdrawal agreement was the best deal Britain could hope to get, warning that the only alternatives were risking leaving without a deal, or no Brexit at all. "The choice is clear: we can choose to leave with no deal, we can risk no Brexit at all, or we can choose to unite and support the best deal that can be negotiated," she insisted. Hardline Brexit critics said the deal could turn Britain into a "vassal" state of the EU if the deal is signed. Both members from May's Tory party and opposition Labour told her that her draft deal is disastrous and would not pass the UK parliament, which is expected to vote on the deal sometime in December. A group of hardline Brexiteers, led by MP Jacob Rees-Mogg submitted a letter of no-confidence in May. Rees-Moog told the press that Boris Johnson or former Brexit secretary David Davis - both of whom already resigned from the government earlier this year - would be better choices as prime minister. At least 48 such letters from Conservative lawmakers would be needed to trigger a vote of no-confidence in the parliament. In the meantime, the EU was quick to show that it is ready to seal the deal. 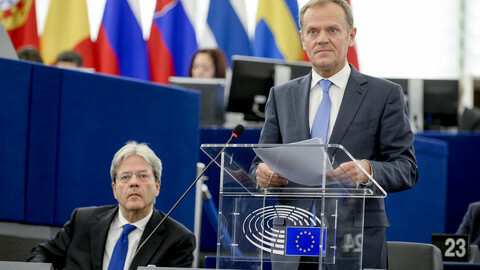 EU council chief Donald Tusk has convened a meeting of EU leaders for 25 November to sign off the deal. The commission, with UK negotiators, will finalise the text of the political declaration on the future relationship by Tuesday (20 November). The Austrian presidency of the council of the EU called for a meeting of EU affairs ministers for Monday (19 November) to prepare the meeting and raise any concerns they might have. 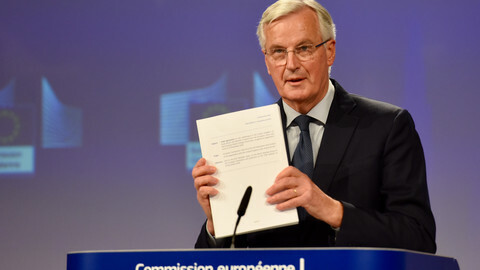 The bulk of the Brexit withdrawal agreement has been known to officials of the EU-27 member states, but they will want to make sure all of their interests are covered. "Then, if nothing extraordinary happens, we will hold a European Council meeting, in order to finalise and formalise the Brexit agreement. 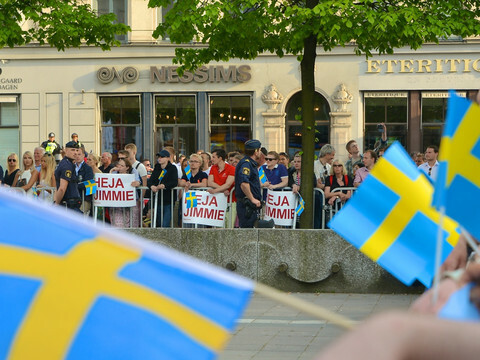 It will take place on Sunday 25th November at 9:30," Tusk said. 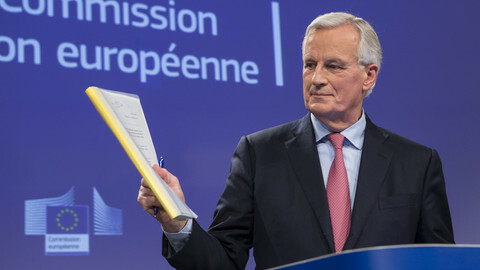 EU chief negotiator Michel Barnier in Strasbourg handed over the Brexit deal to the president of the EU parliament Antonio Tajani and the parliament's chief Brexit man, MEP Guy Verhofstadt. Tajani said he is satisfied with the deal and said the EU parliament could vote on it, a necessary move for full ratification, in early 2019. German Chancellor Angela Merkel said on Thursday she was "very happy" that the EU and the UK have reached a draft agreement, AFP reported. But French prime minister Edouard Philippe warned that despite the draft, the prospect of Britain crashing out without a deal was "still on the table". EU officials stressed, however, that the current draft agreement is the best London can count on. "On both sides, we have exhausted our margin of manoeuvre," an official said, adding: "We think it is the best we can we can do with the constraints we have on both sides." 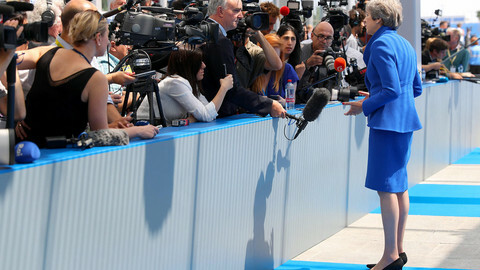 Late Thursday, May announced she would hold another press conference this evening - with speculation she would have to address the growing rebellion against both the deal and her prime ministership, or even call a snap general election. Whilst many internal rivals would be ambitious enough to replace her in an internal Conservative party leadership contest, whoever became prime minister would still have to deal with the ongoing Brexit negotiations - with only four months left until the UK leaves the EU. 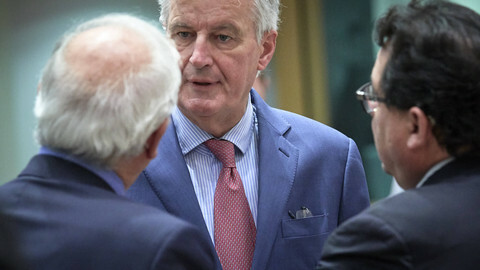 Brexit talks have reached "decisive progress" after May's cabinet backed the draft deal on Wednesday, but the EU27 still have to comb through the massive text and British MPs still have to agree. British politicians from almost all sides have denounced a draft Brexit deal agreed between London and Brussels on Tuesday, raising the risk of a messy outcome. All eyes on London this week, where May struggles to hold onto power against Brexit rebels, while EU leaders meet in Brussels on Sunday to try to clinch agreement. While EU and UK negotiators now focus in on the declaration on the future relationship, following last week's withdrawal agreement, Spain has now raised concerns over how it will affect Gibraltar.